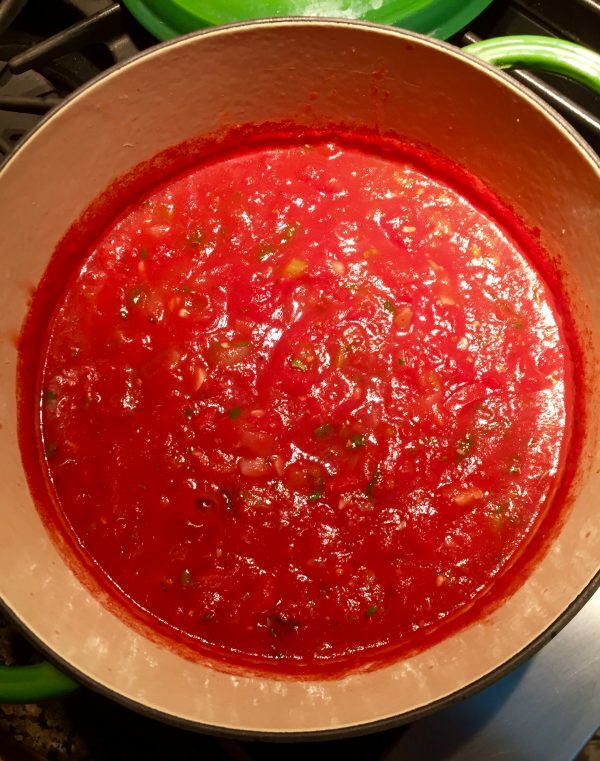 It is that time again when I cook my Homemade Marinara Sauce and freeze it to make the kids a few lunches for school. 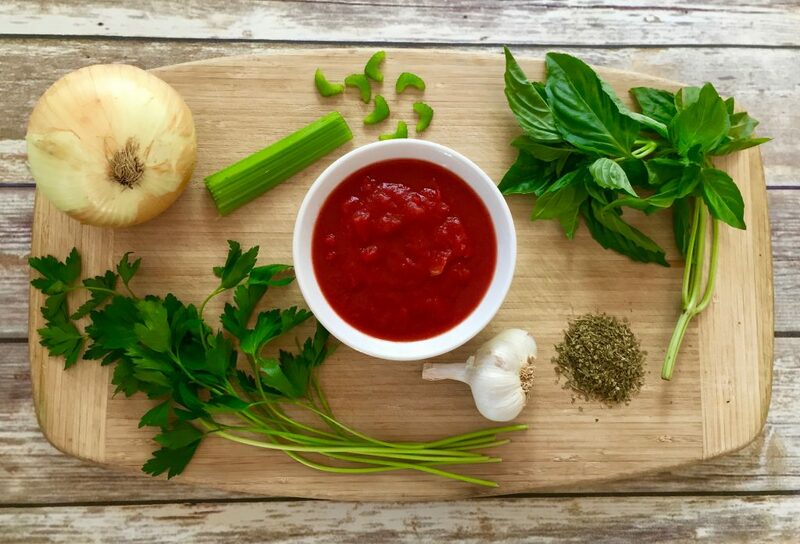 The sauce is healthy, light, flavourful and most important, quick and easy to make. My kids love it and they always ask for more! I have to admit, this is not my original recipe. 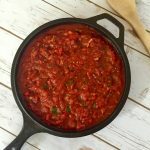 I went to www.callmymomforhelp.com years ago and I’ve been making this sauce ever since. 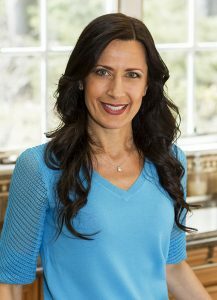 If you had a chance to read my Cooking Story in the About page you can see my mother is from Slovakia and my father is Italian American. She escaped from Slovakia in 1968 and shortly afterwards met my Dad and have been happily married ever since. Being an amazing chef, she adapted the Italian cuisine with ease and before long, we were eating authentic dishes like homemade raviolis and sauce. When my kids started attending school the thought of feeding them packaged, processed meals was not going to fly. With their diet restrictions, I have to come up with easy, healthy lunches for the week. Who has time to cook for 4 kids at crack of dawn? I discovered a simple way to make and transport delicious healthy meals without spending too much time creating them. I like to call it, “Meals on the Go” and I pack them for lunch, birthday parties and more. I am not a big pasta eater. Matter of fact, I rarely eat pasta because I like to serve whole, meals that are minimally processed or better yet not processed at all for myself and my family like rice or quinoa. However, on Monday mornings when the food supply is low, this dish is super easy to make when trying to get 4 boys out of the house for school. I place the frozen sauce in the refrigerator the day before, boil some quinoa pasta that morning and combine the two when it is ready. Presto!! An organic, nutritious, gluten-free meal that everyone will enjoy. This recipe is easy to make and very healthy. With just a few simple ingredients you will be eating your meal in no time. It can be served over gluten-free pasta or even used as a dipping sauce. The leftovers can be frozen in canning jars. 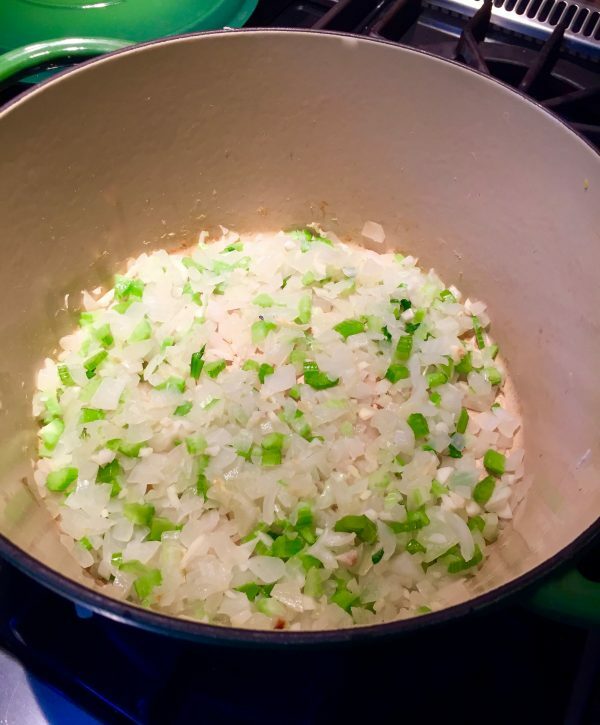 Sauté onion, garlic and celery in a lightly oiled pot until fragrant. Add 2 cans of tomato sauce stir at medium heat. Allow the sauce to boil for about 15 minutes. Lower the flame and add parsley, basil, Italian seasoning and let it simmer covered about 15-20 minutes. 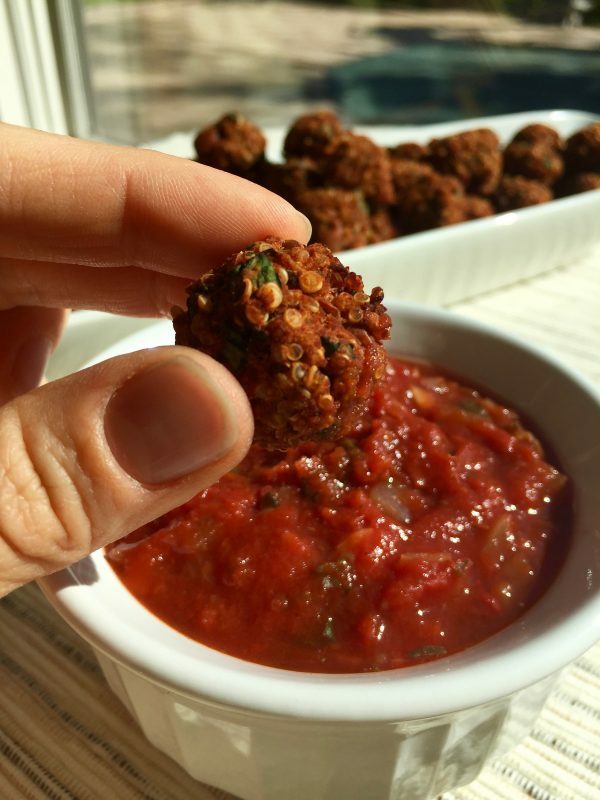 Can be served over gluten-free pasta or used as a dipping sauce for my Quinoa Pizza Balls for example. 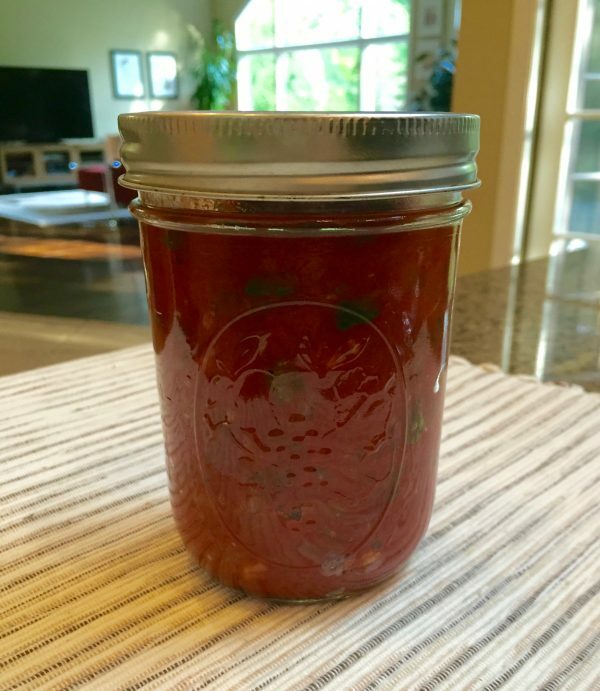 Sauce can be frozen in a canning jar. Take it out the night before and place in refrigerator to defrost. How often do you eat pasta? Did you ever try making an Italian or Slovak dish? If so, please share your recipe! Gabrielle, your pictures are great! 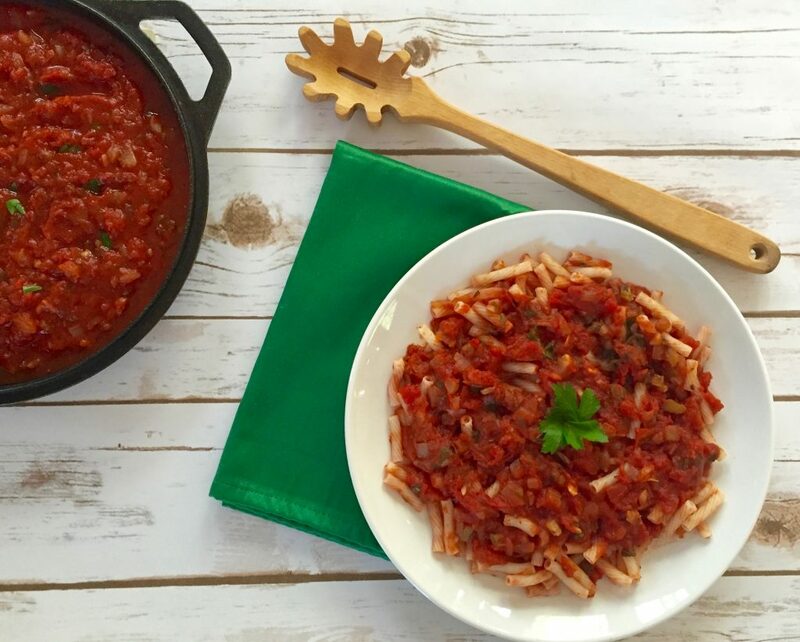 Thanks for sharing another delish recipe that seems pretty easy to follow! We eat a lot of pasta. It’s simple and fast when we are on the go! Thank you! 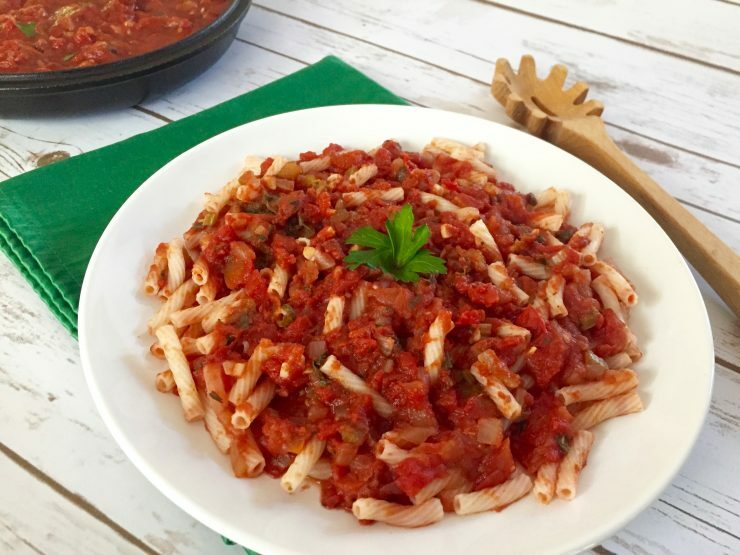 Pasta is definitely easy but try to serve it over brown rice as well! It looks delicious, we are trying it His weekend. Thanks for sharing and keep them coming. We will try this one next time we eat pasta. It looks divine! Do you prefer rice pasta over quinoa pasta? So glad to hear that! 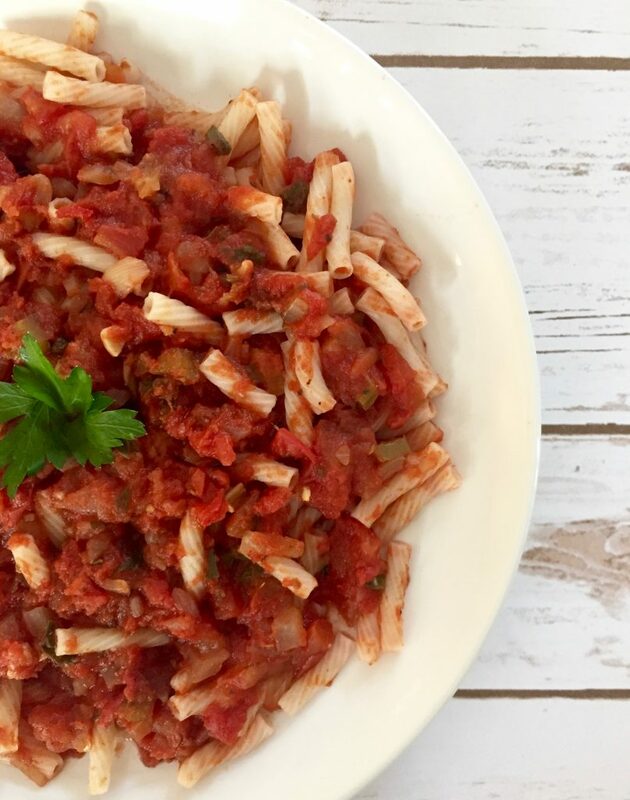 I usually use quinoa pasta for their Monday lunch but when I make my Vegan, Gluten-free Baked Ziti I use rice pasta because it is bigger. I’m hungry. I love simple solutions for easy meals! I think you meant to say sauce, as you wrote that later.